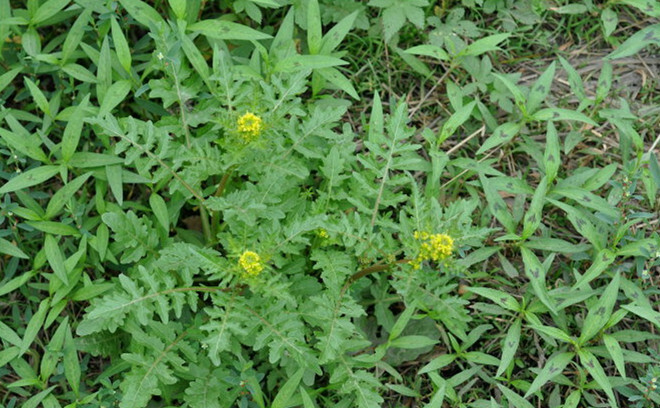 The drug is the dried whole herb of Rorippa islandica (()ed.)Borb. (family Cruciferae) , growing on mountain lands, roadsides and field sides, in rock sutures, wet places of ditches; distributed in Northeast, Northwest and Southwest of China. It is used to clear away heat and promote diuresis, to counteract toxicity and relieve swelling; for the treatment of edema, jaundice, gonorrhea, hydroperitoneum, sore throat, carbuncles, burns and scalds.